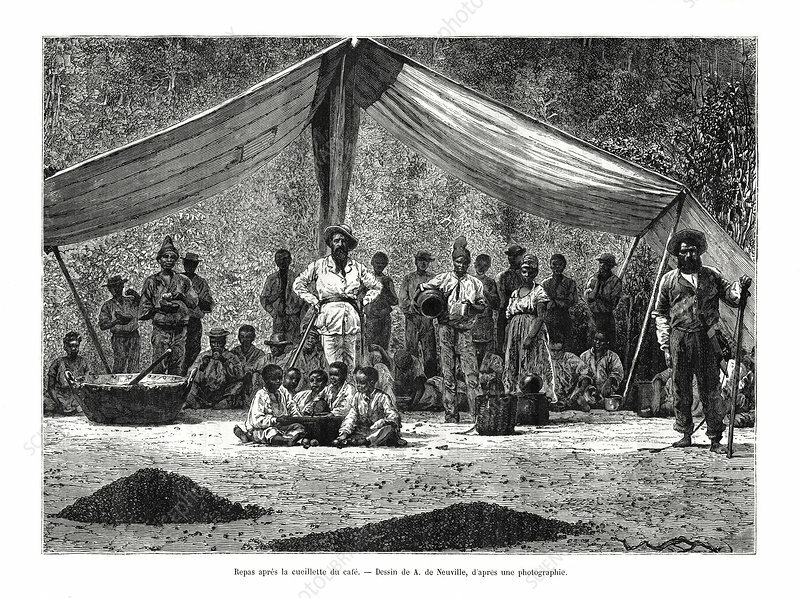 A meal after the gathering of coffee, Brazil, 19th century. The white plantation overseer presides at a meal for the black workers after the coffee harvest. Artist: A de Neuville.